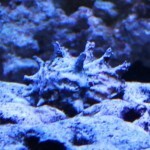 You have to be careful picking out a new fish for your marine aquarium. The last thing you want to happen is to take your new home and it becomes sick due to a disease or something else that you could have identified at the store. 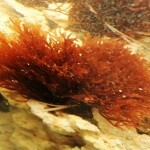 There are a few things to watch for that will give you an indication there could potentially be a problem with a fish. These indicators to watch for are both in the appearance of the fish as well as how the fish behaves. Selecting a healthy fish is not a hard thing to do but it does require patience and restraint. If you are not 100% sure that a fish is healthy , it would likely be best not to buy it. The below are the basic rules of thumb that I follow. Keep in mind, following a process like this can never be 100% safe or 100% accurate, so you should still quarantine new additions before add them to your display tank. The first and easiest things to look for are the physical indicators something might be wrong. Look for any kind of damage to the fins and/or scales along with other signs of injury like cuts and/or bruising. – White spots on the body. This can be an indication of marine ick. This can look almost like someone sprinkled salt on the fish’s body. Ick can be a somewhat easier disease to look out for and is fairly common. – A velvet looking spot on the body. 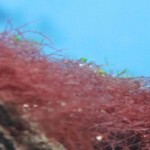 This can be a indication of marine fish disease commonly called marine velvet. – Underweight Fish: By this I am referring to fish that look like they are not getting enough to eat even though they do appear to be eating. Some fish require a very specific diet in order to survive long term. A underweight fish may not be getting the correct dietary requirements which puts this fish a high risk of carrying and developing a disease. There are a few behaviors that can be an indication that something is wrong as these behaviors can actually be symptoms of a different and/or bigger problem. 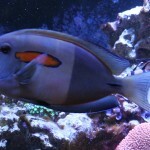 – Activity Level: Most fish should be moving around in the tank, or at least close to a normal activity level for the fish. A little firsthand research on the specific type of fish before going to the store will help you out a lot here. For most marine fish, a lack of activity can be a potential indicator of a bigger problem. 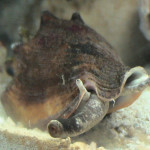 – Flashing: This is when the fish will swim up to an object in the tank and then rub up against it in a short and quick movement, almost like it’s scratching its self. 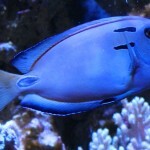 Marine fish flashing like this is a symptom of many different diseases and/or types of infections a fish could have. Typically other symptoms will quickly develop or become visible once the flashing starts. – Feeding: I always ask the store to feed a fish I am seriously considering to take home. I always make sure the fish eats. Taking a new fish home is stressfull enough on the fish. If the fish is not eating then his/her chances of long-term survival can be limited. Not eating is also a symptom of internal disease or infection that you may not be able to otherwise identify. – Trouble swimming. If the fish appears to be having difficulty swimming there is usually something wrong with the fish. Once again, a little firsthand research on the specific type of fish before going to the store will help you out a lot here. 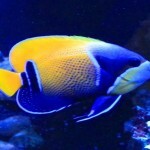 For most marine fish, a having trouble swimming is a sign if some type of sickness or disease. 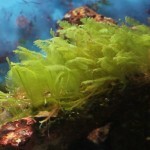 – If you not too sure if their behavior is normal, ask the store if they will hold the fish fir you for a week of two. That will give you a few more opportunities to observe the fish to make sure he/she is alright. Once of the best approaches that I have found to work in almost all situations is to research the fish you want to buy,.. before,.. you go to the store and buy it. That will go a very long way to help you identify any potential problems with a fish. This would be very hard to do sometimes if you are in the habit of making impulse buys when you see a fish that you like. It can also help to purchase tank bread fish instead of wild caught. 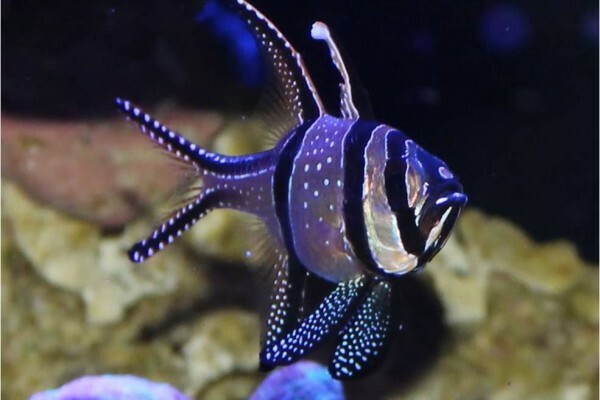 Wild caught fish are more likely to have parasites while tank bread has lived in aquariums their whole life and will adjust to living in your aquarium far better than a wild caught fish. Good websites to help you identify diseases in marine fish. These websites contain a lot of pictures that will come in handy for you when evaluating the health of a fish. 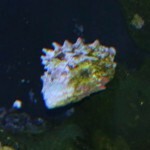 The below link will help to explain how to quarantine new fish before adding them to your main tank. I always recommend using a quarantine procedure to help prevent any type of disease in you display tank which could cause you to lose most or all of the fish in your aquarium.